This week brought in a lot of people with low back pain. People were sleeping in strange beds and on couches over Thanksgiving. And their bodies were feeling it! Neck position and pillows: You may not be able to control the bed or couch you are sleeping on, but you can probably control the position of your neck. Make sure your neck stays in a neutral position when you are sleeping. Sleeping with your neck on the arm of a couch is not a good idea! Do not do that. Make sure your neck stays in line with your spine, like in the green arrows below. Noise and light: Unexpected sounds can keep you from sleeping well. Consider using ear plugs or noise cancelling headphones so that you can sleep through the night. If you are light sensitive, don’t forget to pack an eye mask! 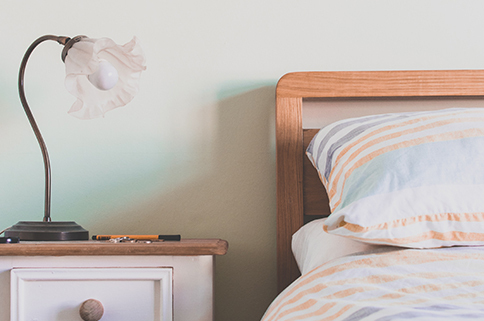 The place you sleep may not have dark curtains or blinds. If you can bring a white noise machine or turn on a fan, that can help your kids sleep better in a new environment. Drink lots of water: Dehydration is a very common cause of fatigue. Especially if you are traveling on a plane or drinking more alcohol than usual, you’ll need extra water. Drink plenty of water before you get on the plane and fill up a water bottle just before you board. Those little bottles of water they give you on the plane will not be enough! But if you keep a water bottle with you, you can refill it again when you get off your flight. Being well hydrated will help you sleep better and feel more rested.